HARARE, Zimbabwe (AP) — Zimbabwe’s opposition leader on Tuesday called for the creation of a “national transitional authority” to deal with a worsening economic crisis amid shortages of basic items such as drugs and fuel. Nelson Chamisa, who narrowly lost July’s election, accused President Emmerson Mnangagwa’s government of excessive borrowing and lacking ideas to solve Zimbabwe’s biggest crisis in a decade. Chamisa also plans to go ahead with a rally on Saturday that party officials have indicated could include a mock “inauguration” in protest of the disputed vote. A ruling ZANU-PF party official, Paul Mangwana, said dialogue with the opposition can only commence if Chamisa accepts Mnangagwa’s victory. A fragile national unity government in 2009 helped pull the country out of economic crisis when hyperinflation reached 500 billion percent, according to the International Monetary Fund. 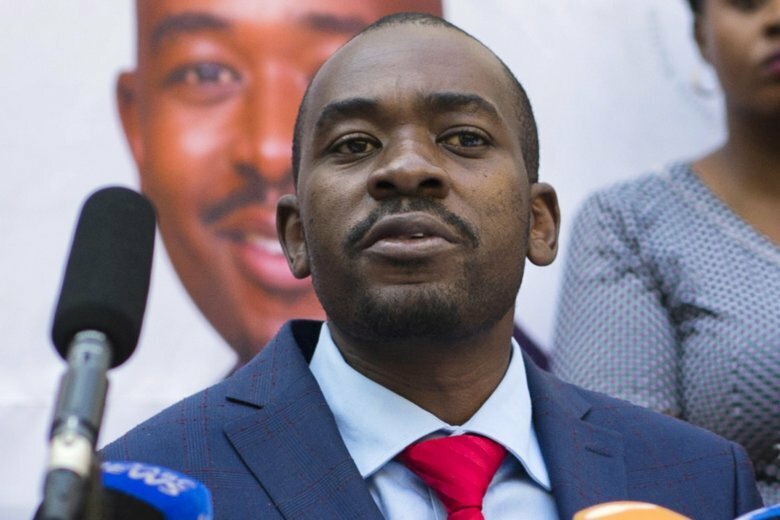 When asked what a “national transitional authority” would entail, Chamisa said it should be a “bottom-up” approach to involve citizens, churches and other stakeholders and that discussions would determine the nature of the government. After Mugabe’s departure many in Zimbabwe had hoped the country would emerge from turmoil and return to prosperity. But that has turned into despair as public hospitals run out of drugs and private pharmacies, like many other businesses, close down while supermarkets ration items such as bottled water and beer. Finance Minister Mthuli Ncube on Tuesday said the government has suspended import controls on items ranging from cooking oil to bottled water to baked beans and shoe polish. Previously, only those with special licenses were allowed to import the items. The government in recent days has cracked down on street currency dealers, while some senior officials from the reserve bank were suspended Monday after a ruling party activist accused them of corruption. The activist, appointed last week to head a special communications task force for the ministry, was fired on Tuesday after he promised more disclosures. The president in a weekly column in a state-run newspaper accused “an intricate network of currency speculators mostly in high places and in places of trust” of manipulating black-market foreign currency rates, resulting in a spike in prices of goods that are still available. With industry in near collapse, Zimbabwe imports most items.